Audacity Water Resistant Laminate Floors - Save 30-60%! Audacity by Armstrong is the ultimate laminate flooring, designed to be water-resistant, extra durable and easy to maintain. 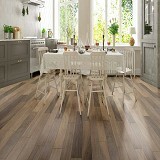 Featuring latest flooring designs and beautiful Embossed-In-Register surface for an authentic wood feel. With Audacity, we’ve solved the main issue of natural, wood-based flooring – moisture. The flooring stands up to spills and keeps the moisture out long enough for you to be able to clean it up. 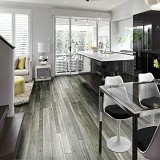 Audacity water-resistant laminate is as durable as it is beautiful. Unlike with standard vinyl flooring, with Audacity Laminate, you don’t have to worry about all the little scares when your kids are messing around. The flooring is extra stain, scratch, and impact resistant! 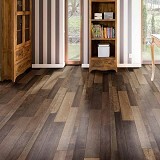 Audacity Laminate flooring features an extra stain resistant wear layer, plus it can be wet-mopped. All of which means it’s really easy to keep your flooring nice and clean! 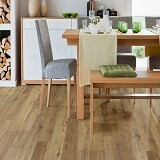 Buy Armstrong Audacity Water Resistant Laminate Flooring at ACWG for 30-60% savings!